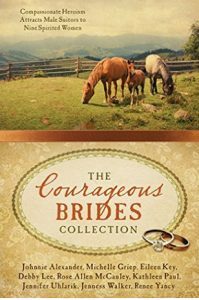 The Courageous Brides Collection released in June of 2016 from Barbour. Inside you’ll find 9 westerns written by different authors. “Letters From Lucy” was my contribution. Lucy Frederick’s father thought she’d stay out of trouble living with her aunt in Texas, but soon Lucy’s boredom and desire to write newsworthy stories has her sending letters back home to her best friend in which she embellishes tales of missing gold and the life of the mysterious, oh-so-handsome, and very real Sam Brazos. What harm could come of it? For some behind the scenes information on the story, click here. A Cup of Christmas Cheer is a delightful collection of original fiction w ritten just for Guideposts readers and hand-picked by the editors at Guideposts to make your Christmas merry and bright. Each story offers the perfect opportunity to take a short break from your holiday planning and escape into an uplifting adventure. 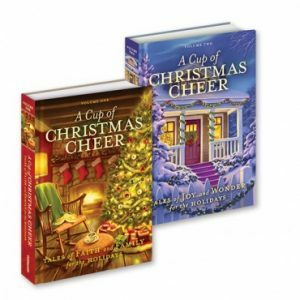 Everything you love in heartwarming Christmas fiction is in A Cup of Christmas Cheer — faith-based plots, captivating writing, lovable characters and hopeful endings that warm you from head to toe. You’ll love the way these stories whisk you away and how each has a heart-warming Christmas message of redemption, forgiveness, hope, and faith. Second-Chance Christmas (Volume 1) — a story about a hardened businessman who is transformed by the unexpected arrival of his grandchildren. The Twelve Days of Kindness (Volume 4) — a story about a young girl who is transformed as she fulfills the requirements of her parents’ punishment for opening presents before Christmas. For some behind the scenes information on these stories, click here. My debut novel was published in 2009 by Love Inspired Suspense. It’s currently out of print, but can be purchased on Amazon, either on Kindle or used. Cole Leighton can barely believe his eyes. A woman on his bus has just been abducted in an exact reflection of a scene from the bestselling novel he’s reading. Someone is bringing the book to life…and isn’t above forcing an innocent woman to follow the story to its tragic end. Using the novel as his playbook, Cole catches up with the beautiful victim—but rescuing Kenzie Jacobs doesn’t keep her safe for long. 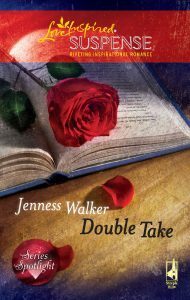 The killer is writing his own ending, and none of the twists and turns lead to happily ever after. This book was co-authored with Tracy Bowen and published in 2010. It’s currently unavailable, but we hope to change that soon! When the universe lets you down, it’s time to go over its head. Following the stars, Indie Moore sets off to find ultimate happiness in South Florida. But in her quest for comfort and fortune, she encounters mishap and mayhem. She finds a home in a trailer park, a job scrubbing toilets, and a moody roommate–not quite the glamorous world she’d envisioned for herself when she left Rabbit Hole, Kansas. 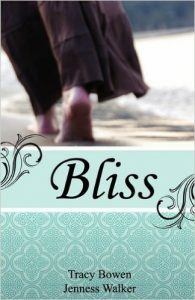 But maybe bliss looks a little different than she’d thought. Laugh and cry with Indie as she blunders on land, by sea, and in church, seeking love and a sense of belonging…seeking true bliss.